Take your children out for a day of fun and games at one of these great arcades in Staten Island. Rack up points, win prizes, make high scores and have a blast playing on games at these family fun centers. Staten Island arcades have everything from Skee Ball to Whack-A-Mole, so don't hesitate to go and have fun! This great arcade in Staten Island is a great place to go for a day of activities and fun for kids of all ages. Whether you have young kids who will play in the special toddler's area or older kids who will run and climb in the multi-level maze there's something here for the whole family. Fun Station Staten Island offers a wide range of arcade games, from DDR to Guitar Hero, racing games and virtual reality simulators, kids will have a blast playing all the games this fun center has to offer. In addition to arcade games kids can have fun on the many indoor carnival rides such as the train, Bumper Cars or AirPlane ride. Laser tag, a batting cage and a basketball court round out the attractions creating a versatile and varied range of fun activities for all. Play Games, Bowl, Snack and Win Prizes! The fun never ends at this arcade in Staten Island! When you visit you'll find a huge variety of games to play whether you enjoy challenging crane games, or prefer dancing games such as In the Groove there is something here for you. 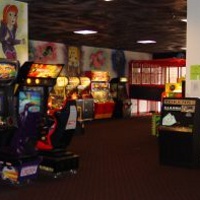 Fun for kids and adults of all ages, this arcade is located within a bowling alley so you can have a full day of fun! A prize counter with friendly and helpful staff makes winning games even more fun! Play alone or compete against friends. 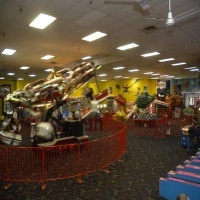 This Staten Island arcade is also a great place for a birthday party so check it out today!